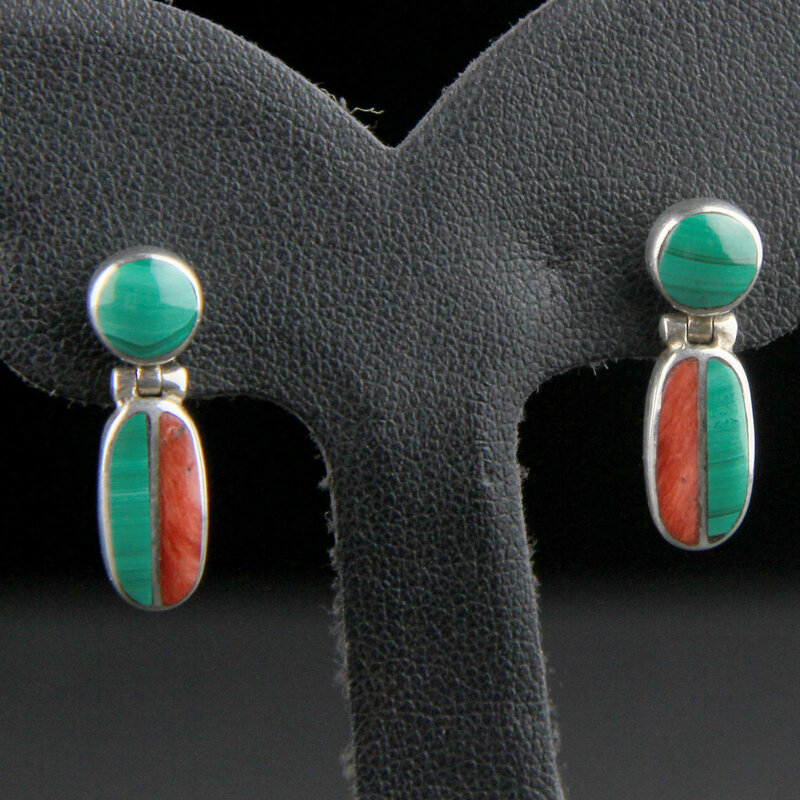 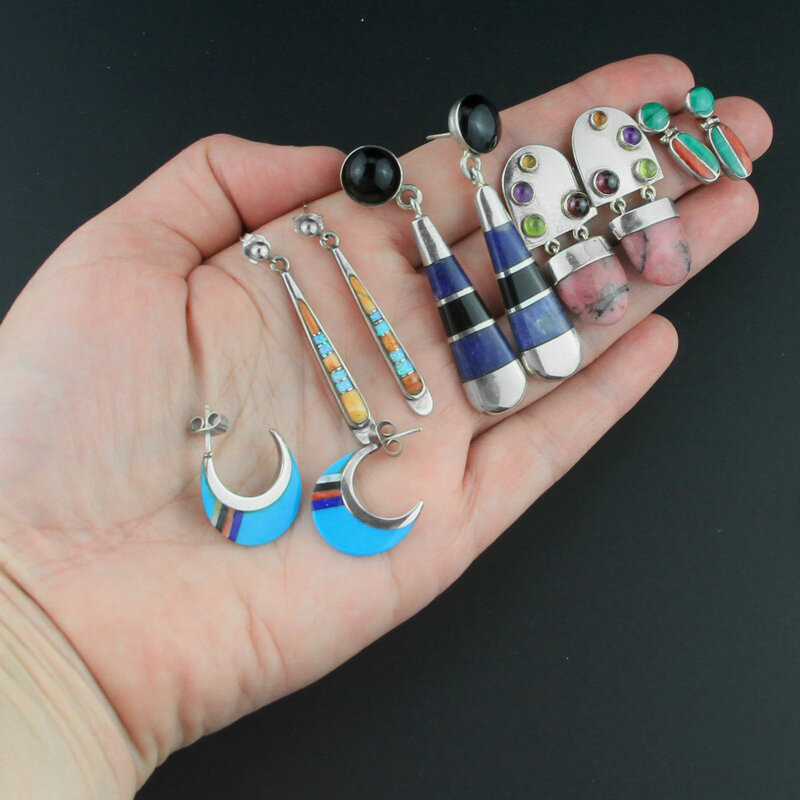 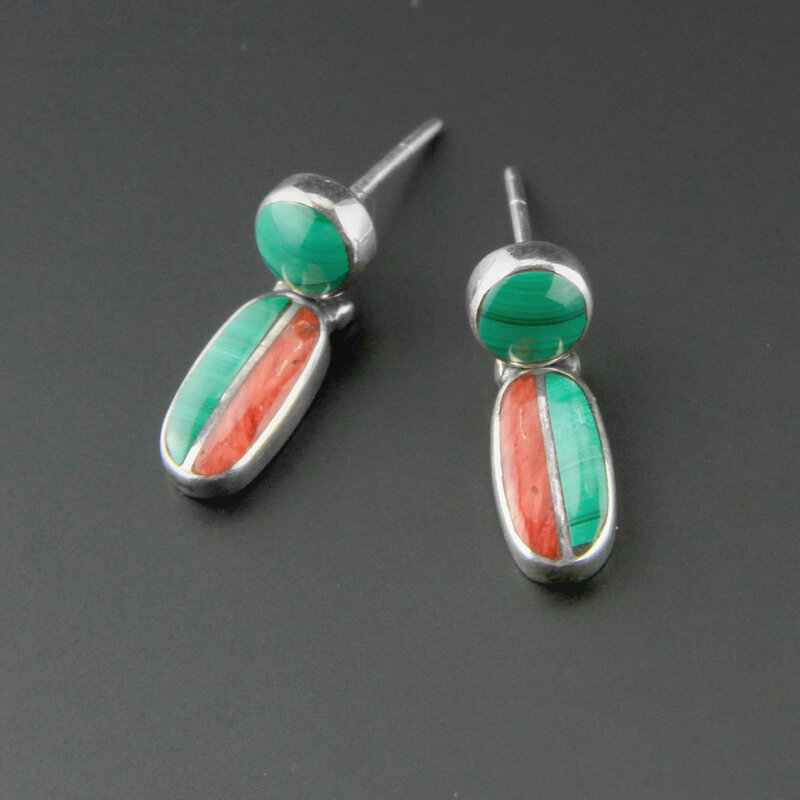 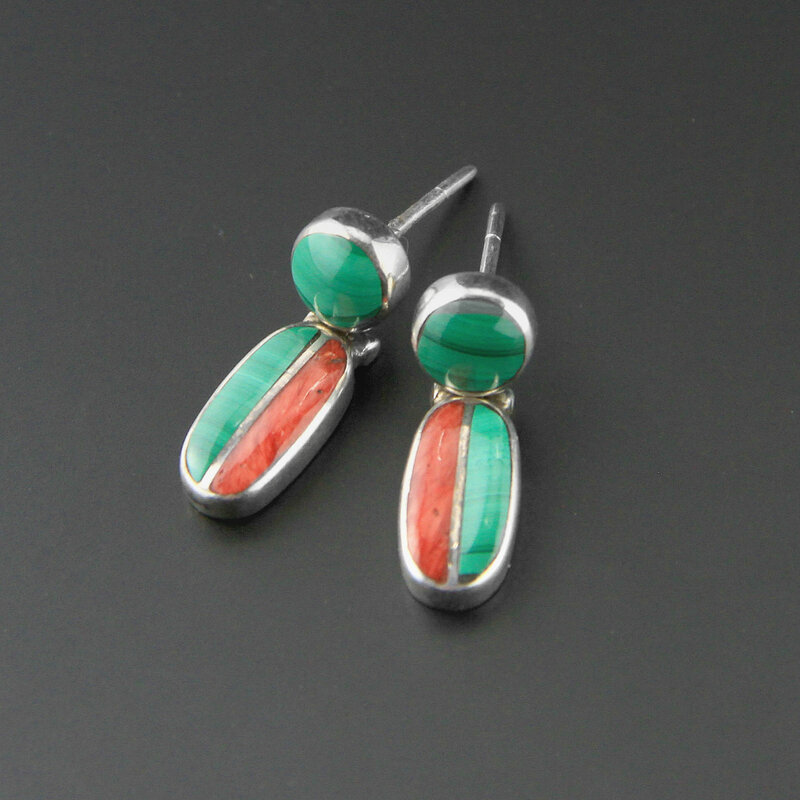 Vintage Native American, southwest, higher than sterling 950 silver earrings, handmade inlay of malachite and coral, nice quality, small and elegant articulated dangle earring, stud back (they DO have butterfly backs). 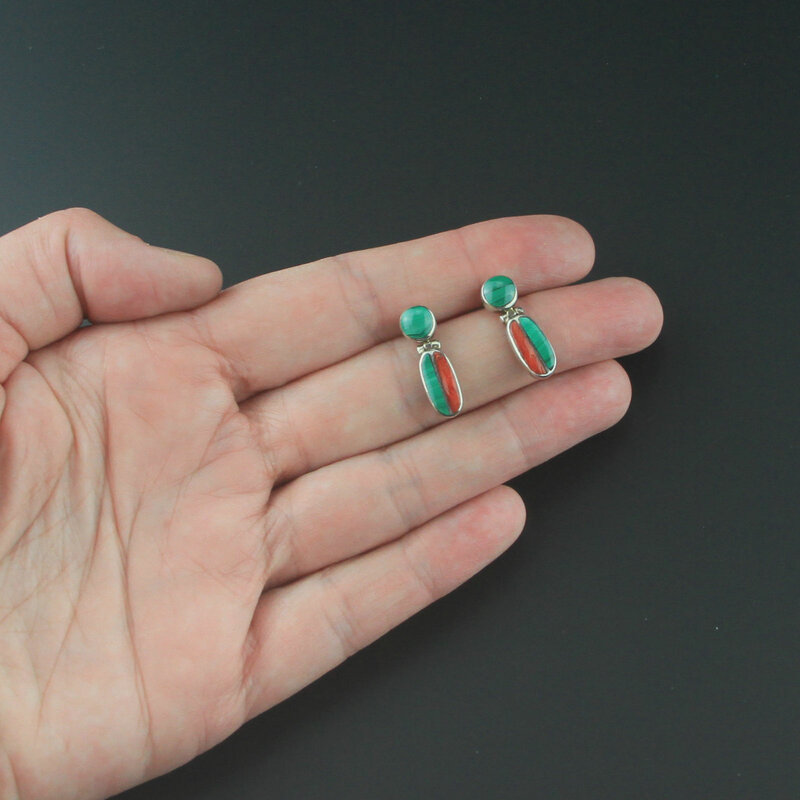 There is a matching necklace. 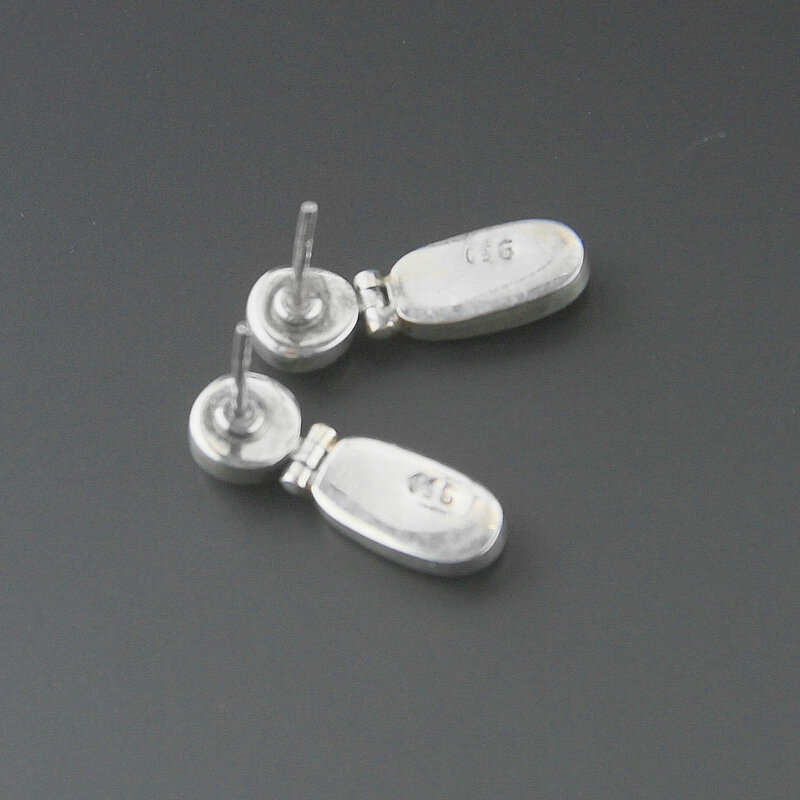 The last photo is to give an idea of dimensions.